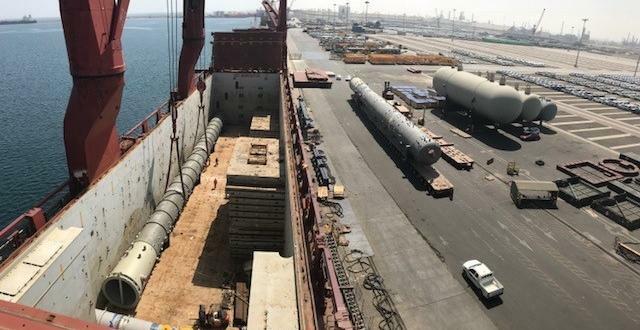 The Wilhelmsen Ships Services (WSS) team have been called upon to support one of the largest refinery expansion projects currently ongoing in Oman. The majority of the cargo handled was heavy and super-heavy sizes ranging from single piece weights of up to 576mtns and lengths of up to 76m. Pranav Dave (Ships Agency Manager) comments; "Such complicated operations call for a special skillset, extensive handling experience, an adept team with an eye for details, strong local connections and a proven track record of delivering sustained value to stakeholders with high focus on safety. For over 30 years in Oman, this is what the Wilhelmsen team is known for. To passionately serve national interests by handling infrastructure development project cargo with expertise in various sensitive and complicated operations." 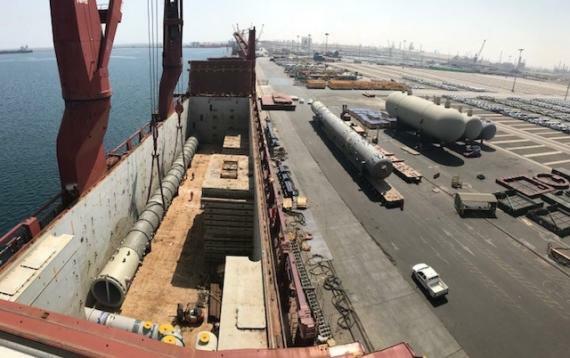 WSS was involved in the port and vessel operations providing a sustainable solution to the carrier and receiver clients including project pre-planning, terminal engagement, discharge sequences, documentation and shore arrangements. As of November 2017, a total of 90,000cbm of OOG and project cargo across 5 ships has been successfully delivered at the port with more to come. Click below for some photos of the cargo. Pranav concludes; "WSS reciprocates the ongoing support from the terminal, consignees and project stakeholders."